The first musical I ever saw live was Legally Blonde. I was nine years old, hadn’t even seen the film version (my mum had a thing against 12-rated movies), and, by the end of the show, I was completely in love. I went on to see it live twice more. I learned the score backwards, met Sheridan Smith at stage door, and, most importantly, I wanted to be Elle Woods. I don’t mean that I wanted to be a lawyer, or go to Harvard, or find a hot but stupid boyfriend who could dump me so that I could realise I was better than him (though all three were dreams I did have, and have taken an embarrassingly long time to relinquish): I mean that I wanted to be Elle Woods. I wanted to be dressed in pink, standing on that stage, and belting an Act One closing number with a chorus of backing singers. And good God, did I want that number to be ‘So Much Better’. “Do you not think you’re not quite the right type?” she said, cryptically. “No,” I said. That was the discussion (temporarily) ended. Of course, what my friend meant by saying I wasn’t the “right type” was that I wasn’t blonde – and, more to the point, you couldn’t slap a wig on me and pretend I was, because I wasn’t white. And it didn’t matter if I had the range or not: it was something a little past the traditional suspension of belief. What my twelve-year-old self was encountering for the first time was the fact that as much as the body can be an actor’s most valuable tool, in an audition room it can also be a restriction. Unlike music, where auditioning behind a screen is hardly unheard of, you have to be seen in an audition room for an acting part, because that’s part of the deal. In Cambridge we seem to have fallen into the concerning (and incorrect) pattern of pretending that our theatre scene is somehow above this preoccupation with looks. 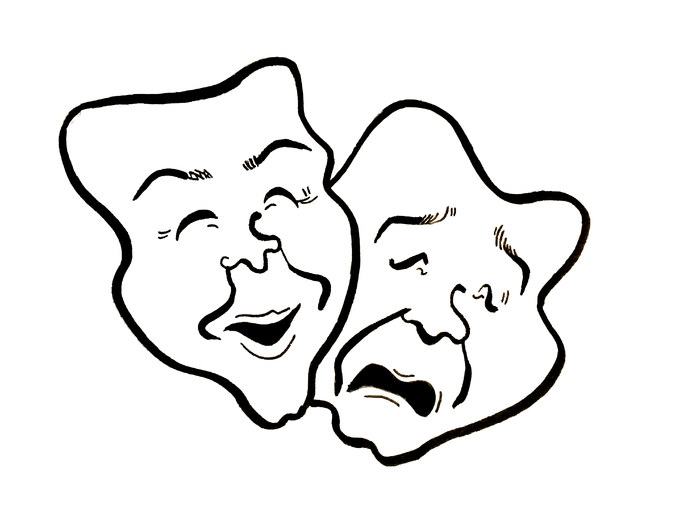 We have told ourselves, perhaps, that it may be an unfortunate aspect of the professional acting world, but that amateur drama is not only removed from this idea, but committed to ensuring that it doesn’t permeate our casting processes, something which often-used words such as ‘race-blind’ and ‘gender-blind’ are a testament to. If we return briefly to my twelve-year-old self desperate to be cast as Elle Woods, naturally my allusion is to our Lent Term Musical this year being Legally Blonde. All the parts have been announced as being cast race- and gender-blind: of course a wonderful and important directorial choice. My concern is not actually with Legally Blonde at all, but with what needs to be a more careful and informed interrogation of the casting practices we have in place. The fact of the matter is, there is actually no such thing as casting race-blind, because we’re not blind. Any director who sits in an audition room – regardless of their ethnicity or background – is affected by a basic element of race theory, which is unconscious bias. When a person walks into a room, delivers a speech or song, and suddenly “feels right” to the director for a part, no one in that room, on either side of the casting process, has a firm idea of how much of that is because, in addition to their skill, they visually fit a pre-existing idea of that part. And the reason that this is so difficult to examine further is because the bias is unconscious. The director is not deliberately prejudiced, but rather affected by what they’ve seen and heard and understood as a member of a biased society. This makes pieces of theatre which have characters at their centre that already exist as a shared visual idea in public consciousness a nebulous and unsettling prospect with regard to casting. If unconscious bias is at play in everything we cast (which we simply must accept is true, for all members of the theatre community), then its power is amplified tenfold in shows such as these. We then have a situation where a person of colour (for example) who wishes to be considered for a part that is not traditionally “assigned” to them within the show is having to work ten times as hard to do so. If they’re then cast, the director faces the choice of whether or not to embrace this clear break away from the typical figure that would exist in the universe of the show and make it a point within the production. For example, if you cast a person of colour as Rolf in The Sound of Music, are you going to address through allusion the natural paradox that this creates or pretend it doesn’t exist? Is a BME Iago in Othello a demonstration of internalised racism? If you’re a white director, are you even equipped to make these choices? My point is not that these issues are ones we should shy away from. On the contrary, they are interesting challenges bound to invigorate our already exciting theatre community. But we’re not actually reminding ourselves that they exist. And what I am trying to say is that there seems to be a prevailing ignorance and disappointing lack of commitment to attempting to understand the implications of a programmed season with regard to visual politics, and it’s holding back our theatre’s accessibility. It’s not enough for directors to say when proposing a show that they will cast blind. It’s more important that there is real energy in balancing out casting processes, and exploring the role unconscious bias has within them (a subject that in any other profession is regularly flagged and discussed). In programming our larger-scale shows that are intended to reflect to a wider community the best and brightest talents we have to offer, both on and offstage, we would do better to find and shortlist shows that leave as little room as possible for unconscious bias to be sitting in an audition room alongside a directing team. There are no necessary easy fixes to our accessibility problems in Cambridge theatre – and even if there were, it wouldn’t be my sole place or responsibility to offer them, but a shared one across the community. We could start, perhaps, by appointing an access officer (a professional, not a student) to our theatre, or making adjustments to the requirements of pitching processes, or even keeping the Marlowe BME Shakespeare production from consistently being programmed at alternative venues. Whatever we decide, we need to stop treating identity politics as an afterthought in theatre. It's not. It's vital to creating a community that reflects all the members of it – as joyously diverse, different and individual as they are.